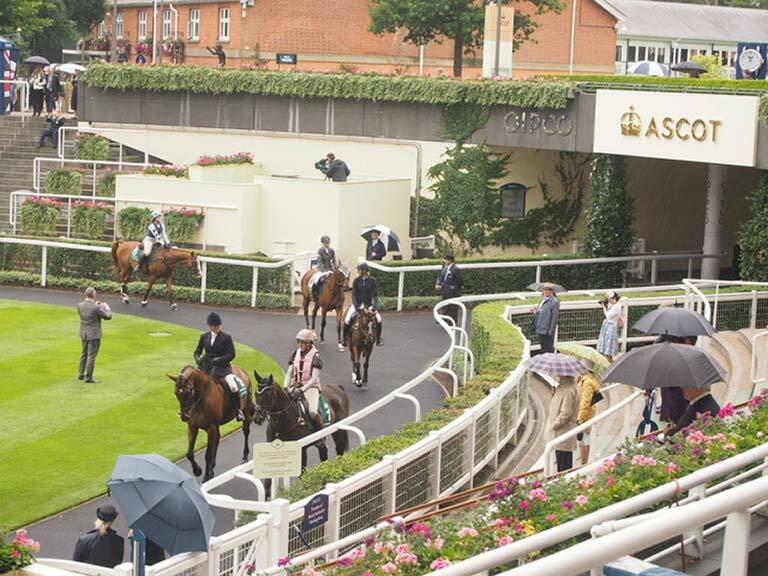 Sake went to Ascot!! 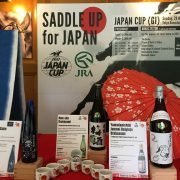 This was one of the most memorable day for sake promotion in the UK. 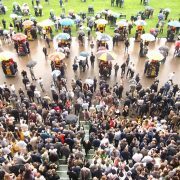 The Japan Racing Association (JRA) partnered with Ascot racecourse to promote Japan tourism at the ‘King George VI and Queen Elizabeth Stakes’, which is Britain’s most prestigious open-age flat race, and its roll of honour features some of the most highly acclaimed horses of the sport’s recent history. 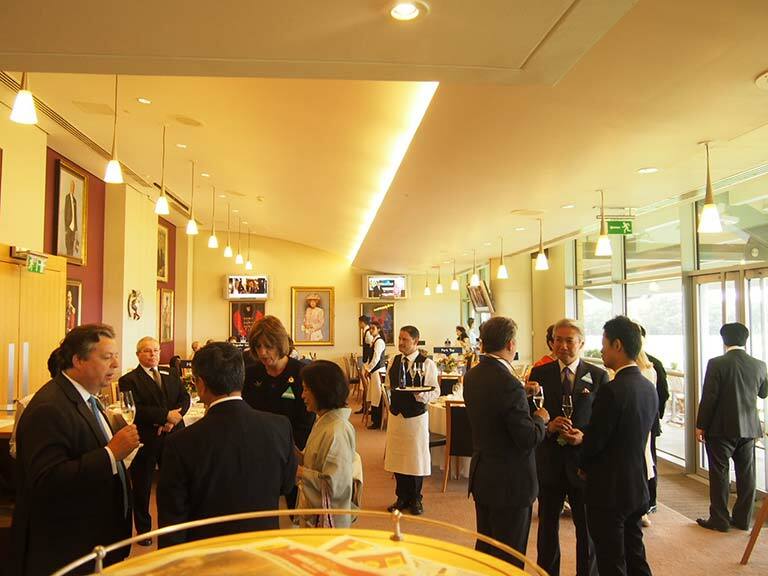 The Sake Samurai Association were honoured to support this event by plying guests with Japanese national drink at the hospitality area, VIP enclosure and at lunch hosted by the ambassador of Japan, Mr Koji Tsuruoka. 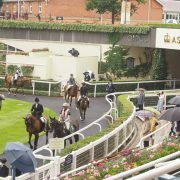 By the Queen Anne Enclosure, passersby could sample Japanese food and drink, such as sushi and wagyu beef. 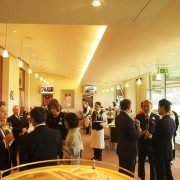 Near the racecourse entrance, Tazaki foods offered complimentary sparkling sake by Mio. 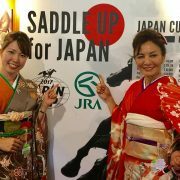 In addition, sake ambassador Rie Yoshitake and her assistant Eri Mizuno looked after the VIP room and Owner’s and Trainer’s room with a sumptuous sake service, dressed in traditional kimonos. 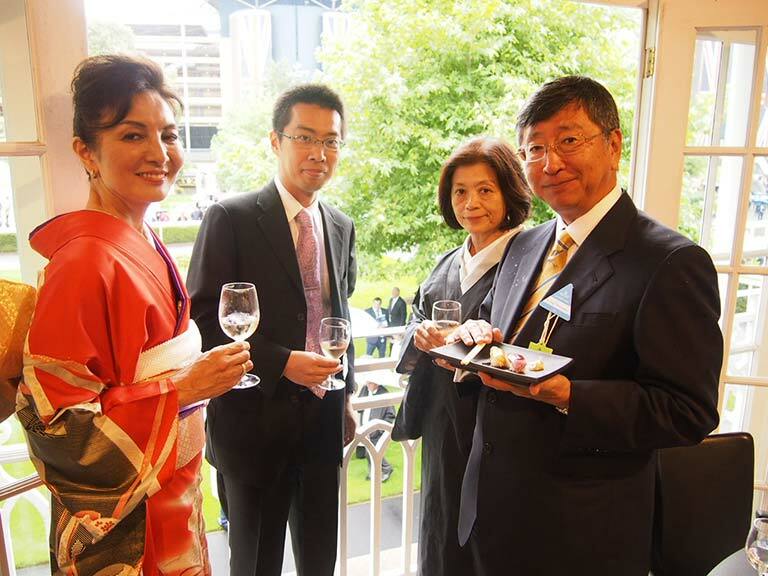 Guests were treated to a variety of sake, including sparkling, umeshu and junmai daiginjo. 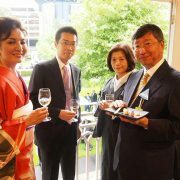 As expected, the sparkling sake was a great hit celebrative extravagant occasion, and although many guests had not tried sake before, they seemed to have fallen in love at first taste! 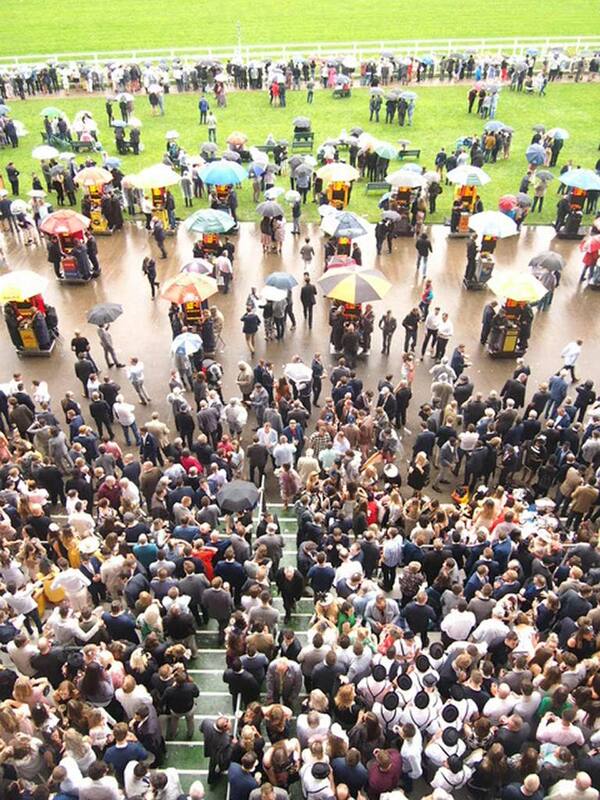 It will be our dream to witness sake being enjoyed in the quintessential British social scenes like this, and we hope the day won’t be too long to wait. 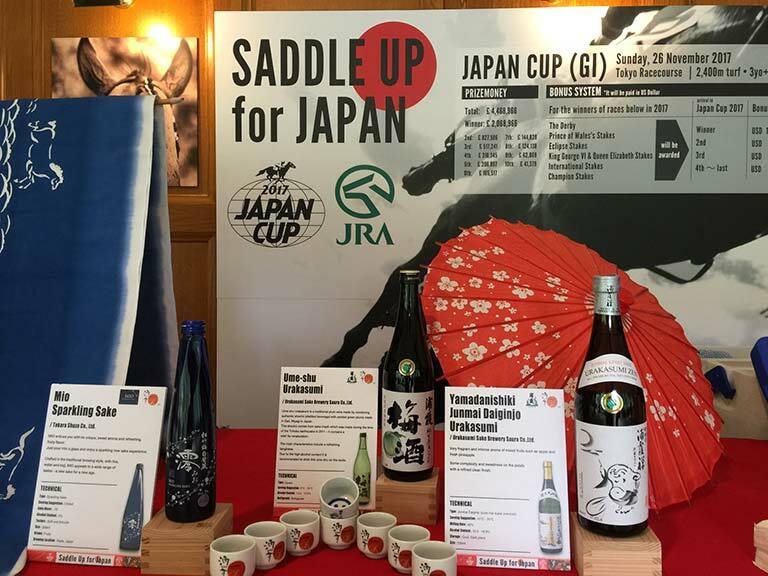 We thank very much to the RAC who gave us the opportunity to raise the profile of sake in the spirit of Britain. 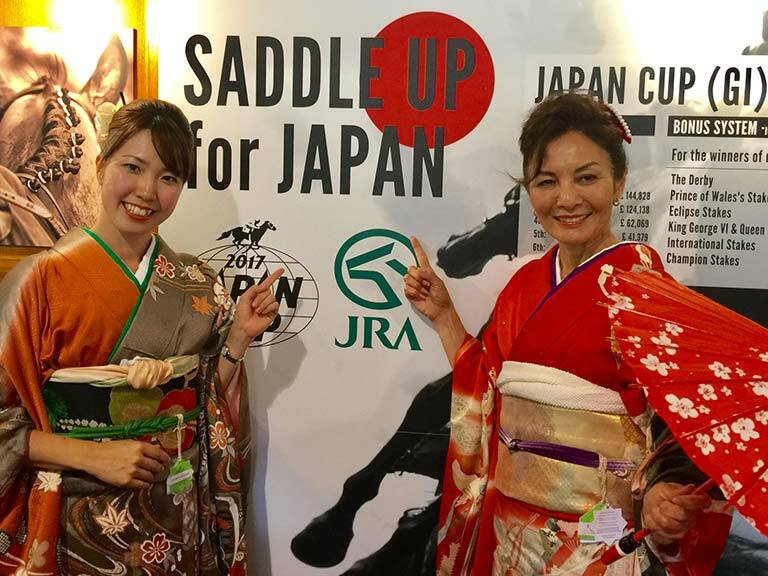 ‘Saddle up for Japan’ was organised by JRA to promote the JAPAN CUP in November attracting the horse owners to join in the racing, as well as for visiting Japan.